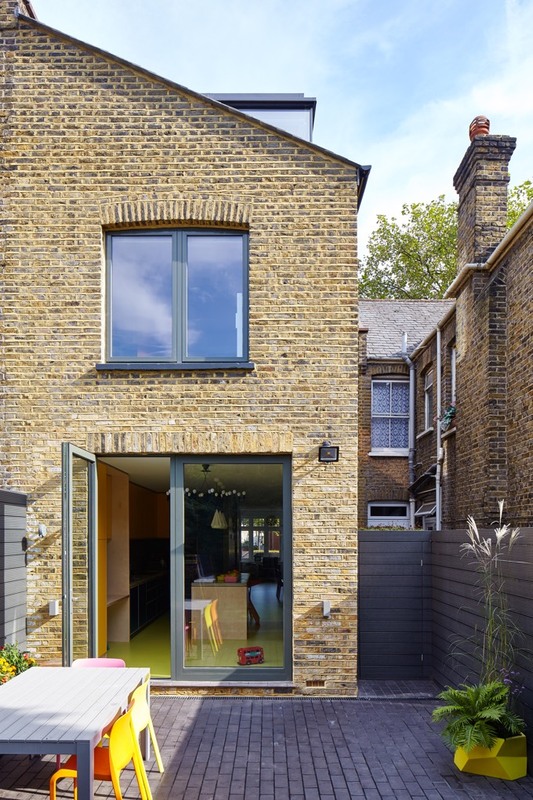 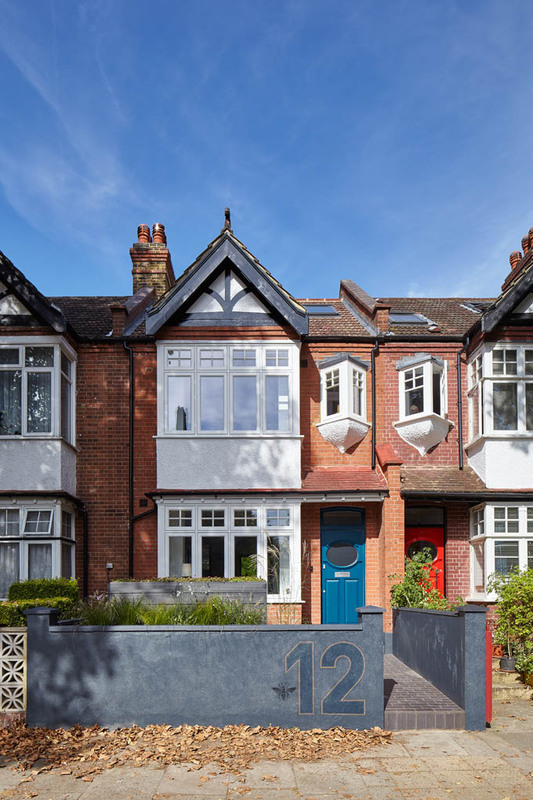 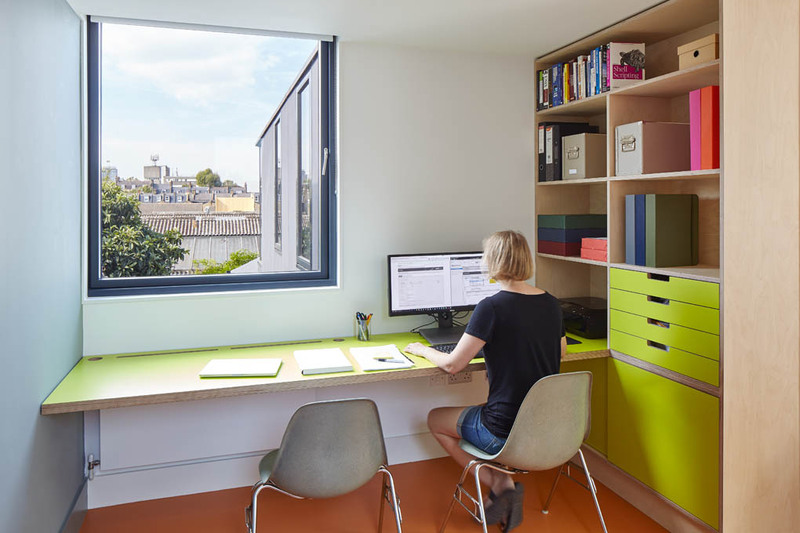 Low-energy refurbishment of a Victorian terraced house including open-plan family living space, loft extension and garden works. 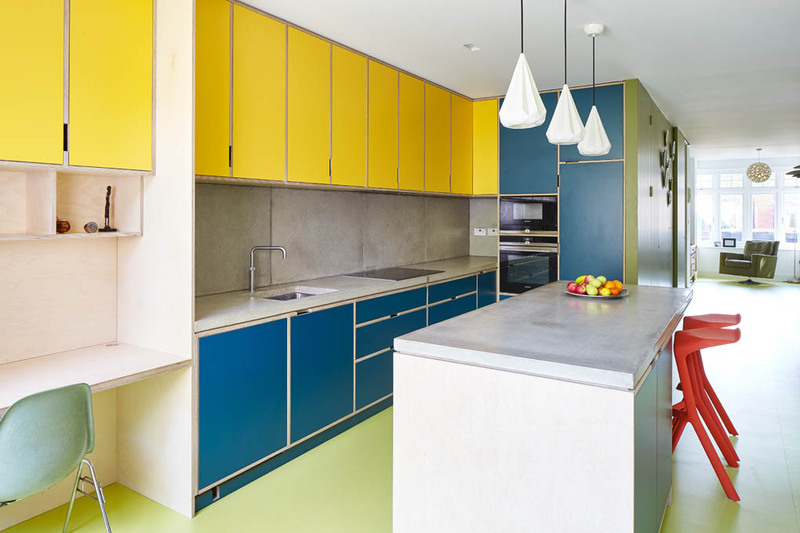 The brief of this project was to create a comfortable, energy-efficient family home with a modern and airy feel. 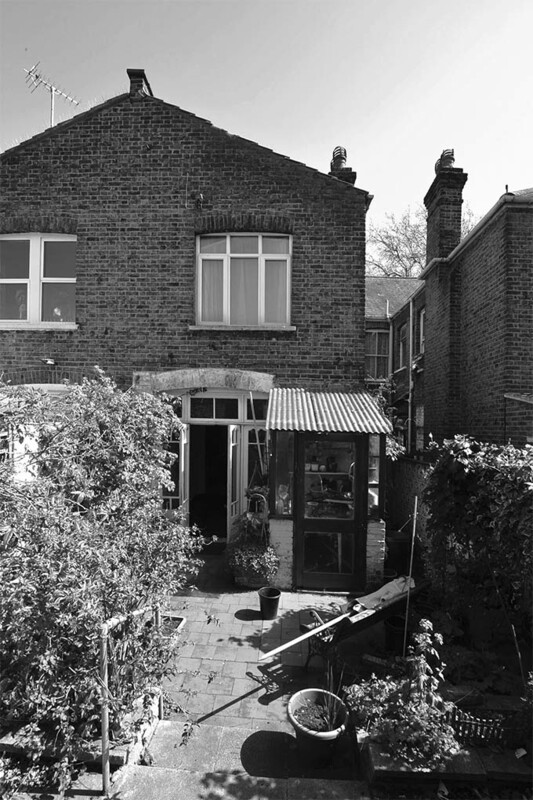 The original house was tight and dark and had not been maintained for a number of decades. 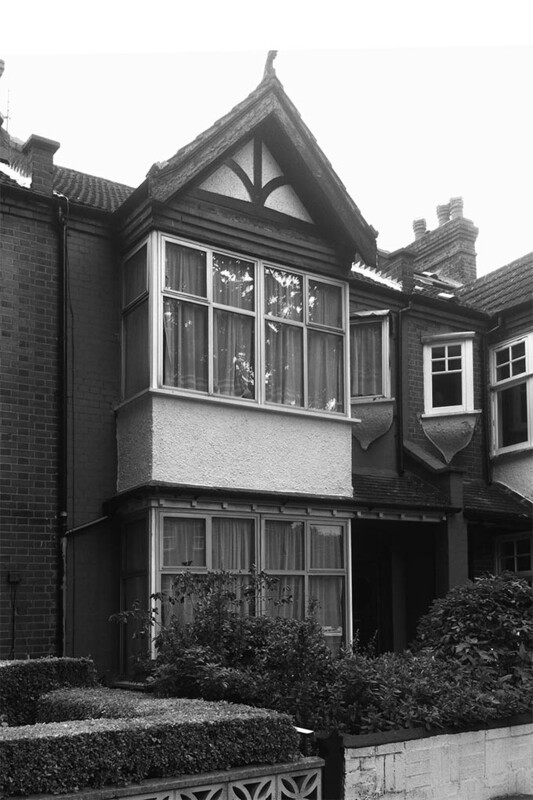 Original features had been lost in the 1960s, offering a blank canvas for a modern approach. 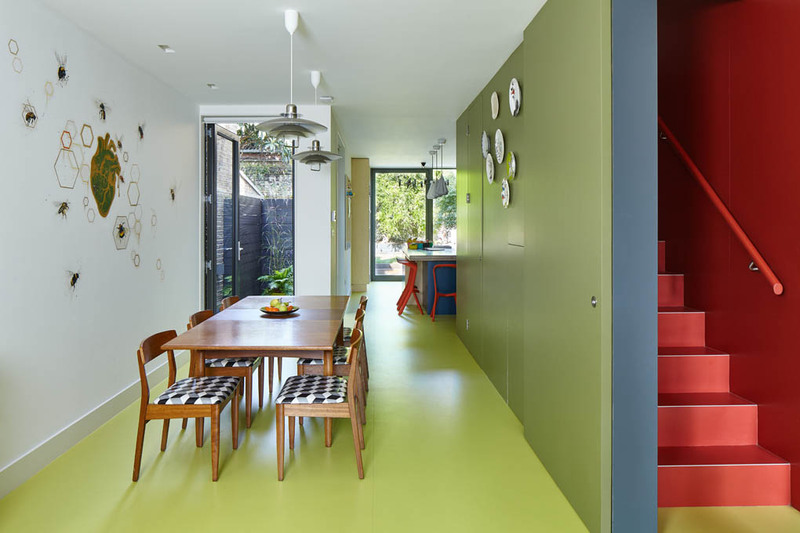 A seamless bright rubber floor connects the entrance area with the open-plan spaces and continues throughout the entire house. 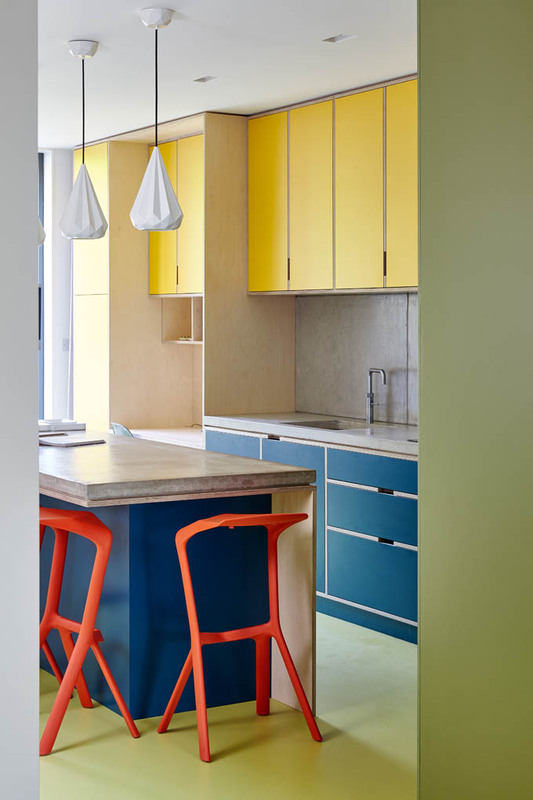 The kitchen as the heart of the house is a comfortable space not just for cooking but for everyday family life. 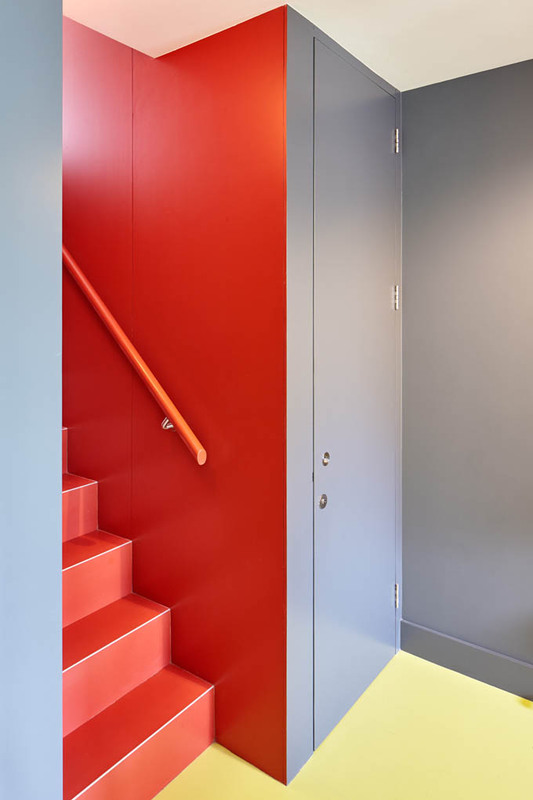 Materials avoid bland white surfaces and create a positive haptic experience through robust materials and finishes. 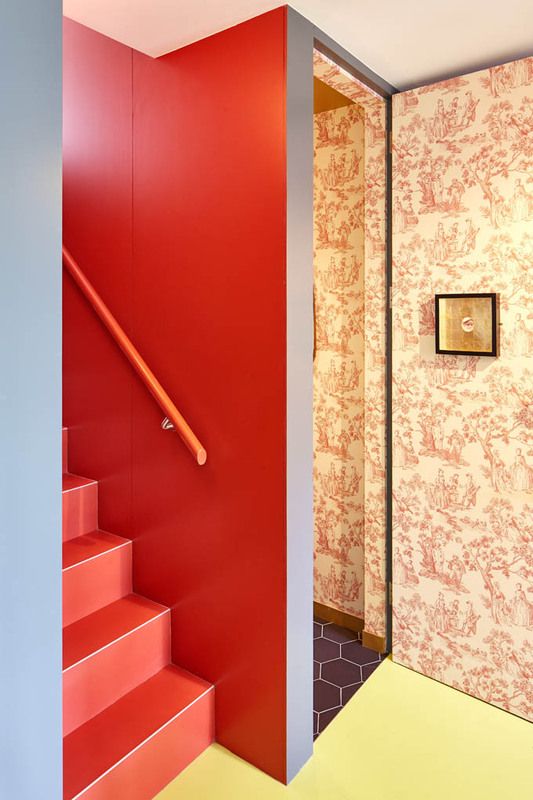 The stairs are one of the key features of the house. 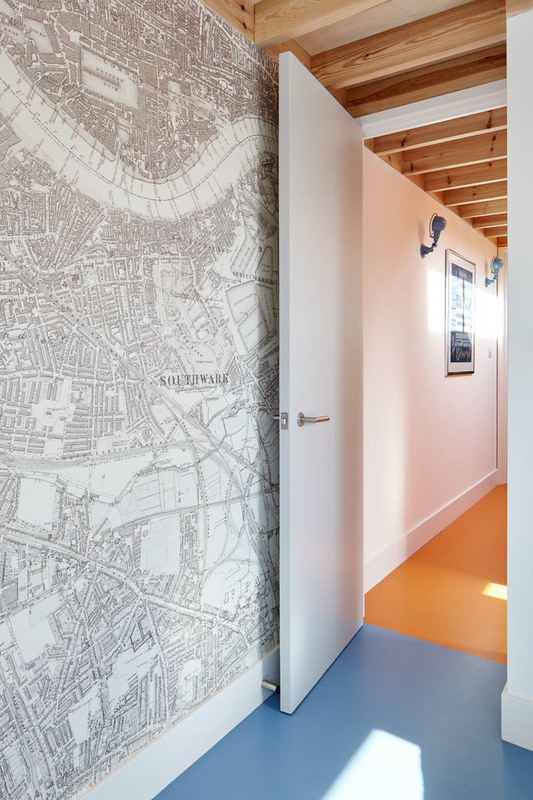 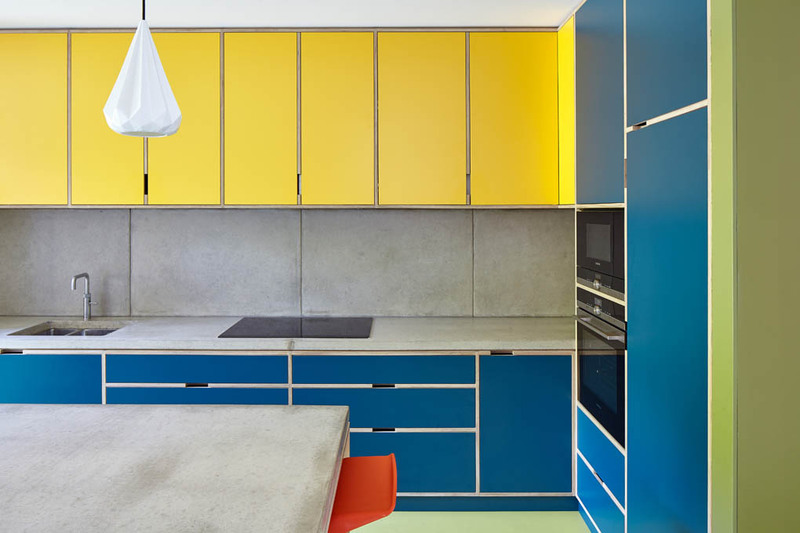 A seamless rubber floor and colour-matched wall panelling create a striking effect. 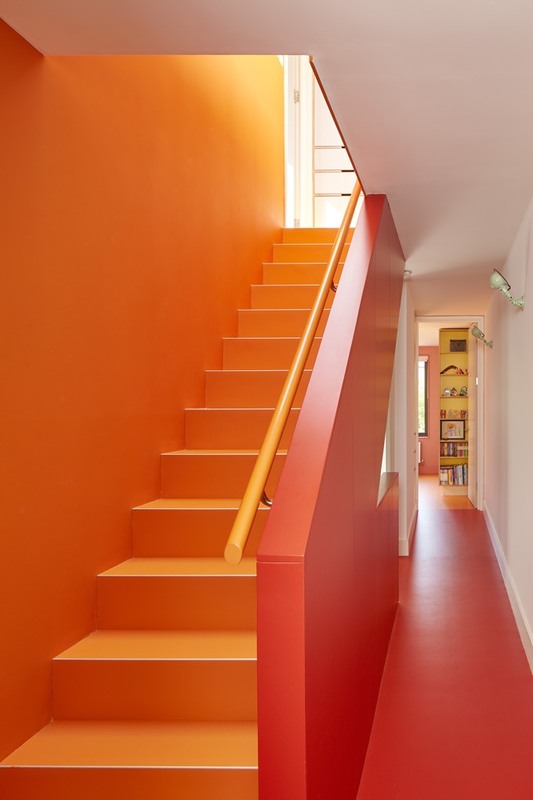 The colour changes gradually from a darker Victorian red at the ground floor to a burnt orange tone at the top. 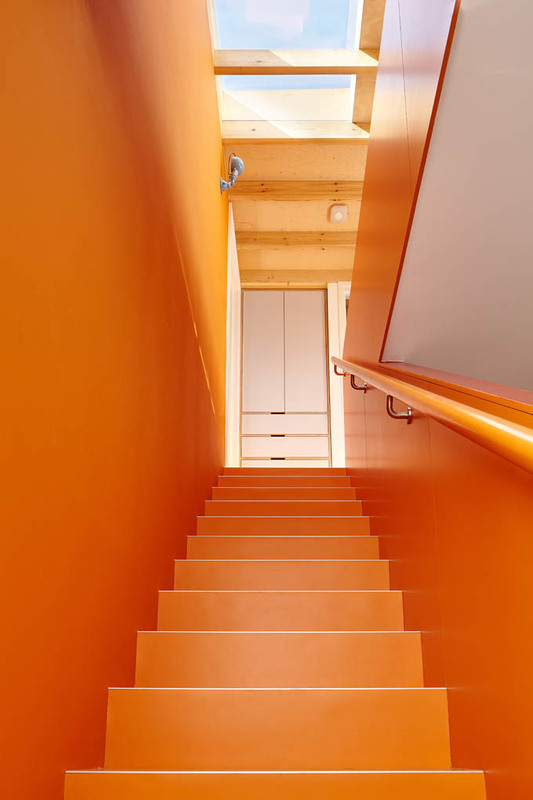 A long roof light at the top of the stairs creates interesting light patterns through the open joist ceiling and reflects the daylight throughout the space. 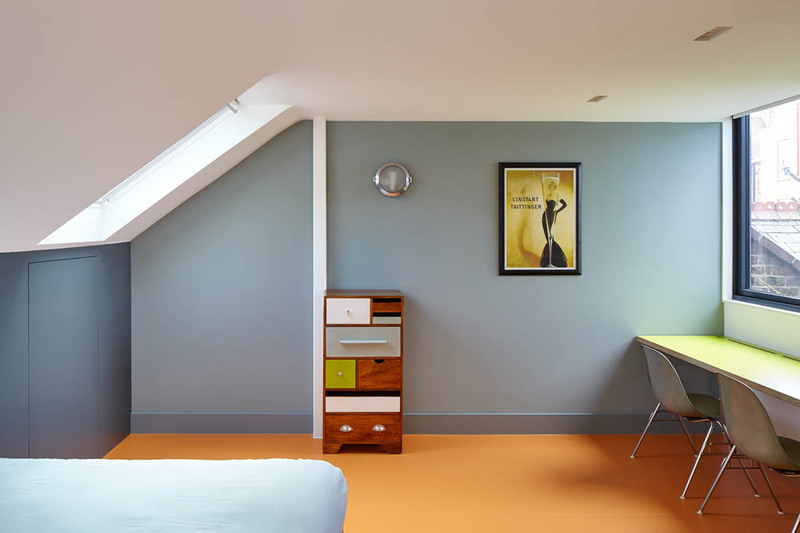 The timber joist ceiling of the loft extension was left exposed, adding to the feeling of generosity despite the constrained ceiling height. 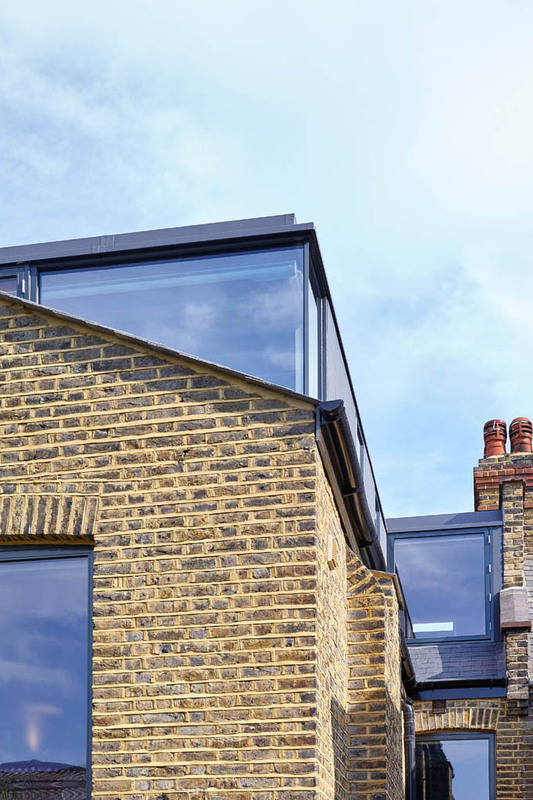 The loft extension is clad in large format sheet cement boards complementing the slate roofs. 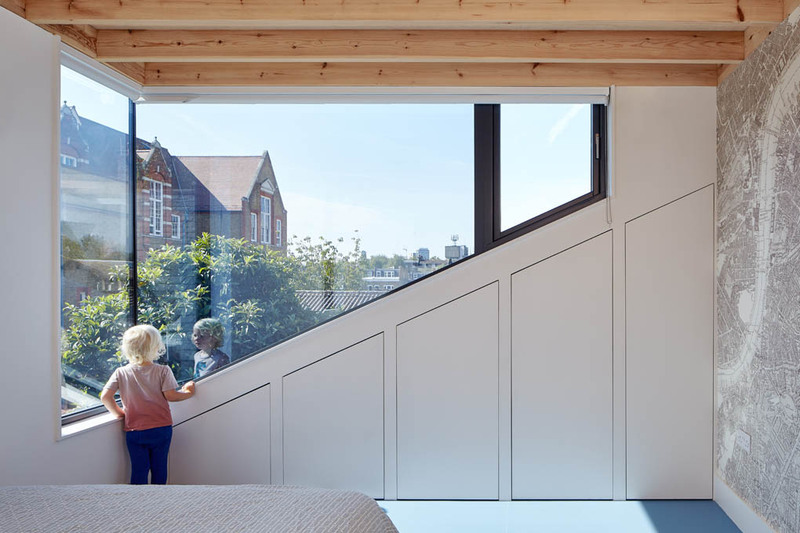 The rear loft bedroom provides views over London’s skyline through a dramatic panoramic window. 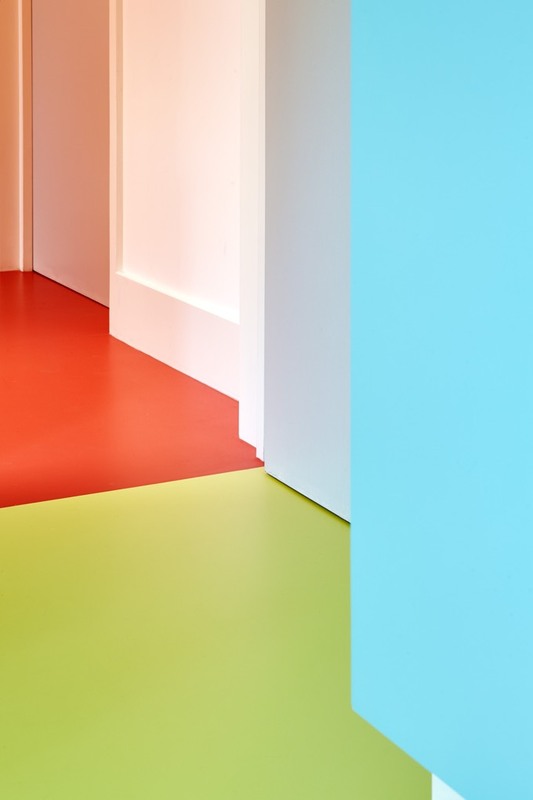 The colours in this room have been kept cooler.